Sirius NASCAR Radio's Sirius Speedway with Dave Moody has learned that Randy Moss Motorsports has withdrawn Tayler Malsam’s #25 Toyota from this weekend’s NASCAR Camping World Truck Series Kroger 250 at Martinsville Speedway. Malsam failed to qualify for the first two races of the Truck Series season, then suffered engine failure early in the most recent event at Darlington Raceway. Co-owner David Dollar issued a statement late last week after reports circulated that the #25 team would be shut down, saying the team was “re-evaluating the status of the #25 Toyota Tundra.” He did not, however, make a definitive statement on whether Malsam would compete this weekend at Martinsville. It's difficult to tell why so many seem so consumed with the idea of Kimi Raikkonen trying his hand at NASCAR. The 2007 Formula One driving champion has announced plans to tackle the NASCAR Camping World Truck Series beginning next month at Charlotte Motor Speedway, driving a limited schedule of events for the new ICE1 Racing Team. His self-professed plans call for a quick progression to Sprint Cup competition by the end of the year, though that itinerary could be pushed back once he actually straps into a NASCAR machine for the first time. Juan Pablo Montoya, Sam Hornish, Jr., Dario Franchitti, Danica Patrick, Nelson Piquet, Jr, and Narain Karthiheyan have made similar transitions to the stock car world in recent seasons with wildly varying levels of success, making one wonder what intrigue remains in the well-worn "Open Wheel Star Attempts Transition To NASCAR" headline? After winning the 2007 F1 title with Ferrari -- and who couldn't win for Ferrari in those days -- "The Iceman" soon faded from the headlines, eventually losing his seat and turning his competitive attention to the World Rally Championship. He currently languishes ninth in the WRC standings, having become more famous for a series of highlight-reel crashes than any true display of driving ability. Maybe the fascination is not with Kimi, after all. Perhaps the hubbub is really about the man Raikkonen threatens to bring with him as majority owner of ICE1 Racing, Foster Gillett. You remember Gillett, the 190-pound silver spoon who carried water for his father, George, while they laid waste to the once-proud franchises known as Evernham Motorsports and Richard Petty Motorsports. After arriving in an explosion of hype and grandiose promises, the Gilletts proceeded to run Ray Evernham out of his own building and reduce Richard Petty from "King of Stock Car Racing" to "impotent ceremonial figurehead" in a matter of a few short months. Over-leveraged and overhyped, the Gilletts became a NASCAR version of Smokey and the Bandit's Big and Little Enos; bulling their way through a series of horrible decisions that left a wide swath of unpaid bills and broken promises in their wake. Until recently, it appeared the Gilletts would join J.D. Stacy, Bobby Ginn, Alex Meshkin and Michael Holigan on the short list of the sport's all-time most inept owners, until reports surfaced this week that "Little Enos" is apparently game for another crack at NASCAR team ownership. "Kimi Raikkonen must not be as smart as people say he is," said Evernham when told of the plan this week. "I can't imagine anyone doing business with them, considering (Gillett's) past history. There are a lot of people out there who are still owed a lot of money. It's a joke." Evernham said he makes "absolutely no distinction" between George and Foster Gillett, saying both men "sat in all the meetings and made the decisions. 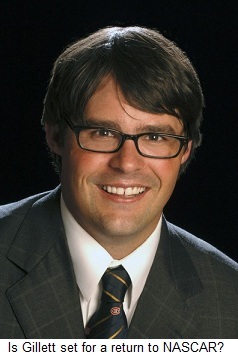 One is as responsible as the other," said Evernham, for their mountain of unpaid bills and laid off former employees. Foster Gillett's return to NASCAR -- if it happens -- is like John Dillinger dropping by the bank a day after the heist to ask if he qualifies for a free toaster, and anyone who deals with ICE1 Racing on anything but a cash-in-advance basis deserves the screwing they will almost certainly receive. Sirius NASCAR Radio’s Sirius Speedway with Dave Moody has learned that Jeffrey Earnhardt will be back aboard the #1 Fuel Doctor Chevrolet for Rick Ware Racing this weekend at Martinsville Speedway. The team issued a media release just moments ago, saying Earnhardt and Ware have mended their fences after a contentious 48 hours that saw RWR release Earnhardt for shopping his services to other Truck Series teams in violation of his contract, and offering to bring the team’s sponsor along with him. Both sides released contentious press releases yesterday blaming each other for the situation, but cooler heads have prevailed today and Earnhardt will be back in the #1 Truck Saturday to continue a season that currently has him tenth in Camping World Truck Series points. Ware said the team will be “strenuously looking for marketing partners” to keep Earnhardt in the Camping World Truck Series for the remainder of the season. 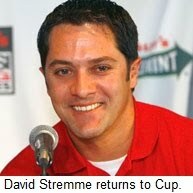 Sirius NASCAR Radio's Sirius Speedway with Dave Moody has learned that 2003 NASCAR Sprint Cup Series Rookie of the Year David Stremme will return to the series at Richmond International Raceway later this month with the new Inception Motorsports team. Stremme will drive the #30 Inception Chevrolet in a select schedule of events this season, beginning with the Crown Royal Presents the Matthew and Daniel Hansen 400 at Richmond on April 30, with a goal of running the full 2012 Sprint Cup schedule. Veterans Steve Lane and Gus Larkin will be a part of the new operation, with Lane serving as crew chief and Larkin -- who most recently served as the Team Manager at JR Motorsports -– managing managing the team’s day-to-day business. Inception Motorsports will be based in Mooresville, N.C., and will be privately funded through the Inception Investment Group. “The plan is solid,” said Stremme, who has a combined total of 20 Top-5 and 52 Top-10 finishes in the Sprint Cup and Nationwide Series driving for Chip Ganassi Racing, Penske Racing, Rusty Wallace Racing and Braun Racing. “We’re going to pick our shots this season, earn respect and establish ourselves as a competitive race team. Then we’ll make a points run in 2012. Raikkonen To NASCAR? And He's Bringing Foster Gillett With Him! Multiple published reports today say that 2007 Formula One champion Kimi Raikkonen will complete in a limited schedule of events on the NASCAR Camping World Truck Series this season with a new team owned in part by Foster Gillett. Gillett is the son of former Richard Petty Motorsports majority owner George Gillett, who walked away from the team late last season, leaving it in financial ruin before being bought out by former partner Richard Petty and a pair of partners. Raikkonen -- a former World Driving Champion in F1 -- has raced on the World Rally Championship circuit since losing his Formula One seat, and will reportedly continue with his rally career while racing a limited schedule in NASCAR. 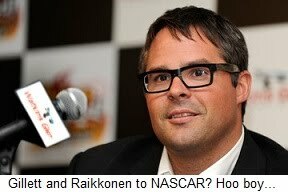 The Finnish Turun Sanomat newspaper reports that Gillett will be “a major partner” in Raikkonen's new ICE1 Racing Team. Commenting on the report, former Gillett Evernham Motorsports minority partner Ray Evernham quipped, "Kimi Raikkonen must not be as smart as people say he is. "I honestly can't believe it will happen," added Evernham, who sold a majority interest in his team to George Gillett and still claims to be owed millions of dollars. "I can't see how (the team) will be able to get parts and pieces. I can't imagine anyone doing business with (Gillett), considering the past history. "That's just my opinion," he said, "but the facts are there. There are a lot of people out there who are still owed a lot of money. It's a joke." Evernham said he makes "absolutely no distinction" between Gillett the father and Gillett the son, saying both men "sat in all the meetings and made the decisions. One is as responsible as the other. I don't see a difference between them, and I can't see how anyone else would, either." 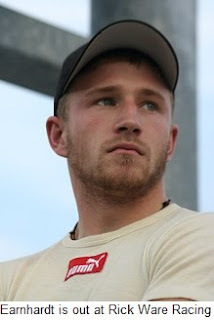 Rick Ware Racing has severed its relationship with driver Jeffrey Earnhardt, despite ranking 10th in Camping World Truck Series points. Earnhardt released a statement admitting that he shopped around for a new team, but insisted he did so only after Fuel Doctor informed RWR that it would seek alternative marketing venues. "To read that release was very upsetting and I’m disappointed to hear the inflammatory and disparaging statements personally made by Rick Ware about me and my company," said Earnhardt. "The facts support that we did reach out to other race teams after the sponsor notified Rick Ware and my group that they were pursuing alternative marketing venues. “Rick advised us that he would only race me in Martinsville providing we signed a release to allow him out of his contract with (my management company), Jeffrey Earnhardt, Inc.” said Earnhardt. "That release never arrived and we notified him in writing on Monday that we expected to drive the No. 1 truck in Martinsville, in accordance with our contract. To suggest anything other than these facts does not reflect the truth and is unfair to the fans and us. There is no word on whether Earnhardt will race this weekend at Martinsville Speedway, and if so, for whom. A lawsuit filed by driver Scott Speed against his former Red Bull Racing team has provided an interesting glimpse inside the financial workings of a professional NASCAR Sprint Cup Series operation. Speed was released late last year after struggling in his second season of Sprint Cup competition, and filed suit against his former employers on Dec. 10, 2010, claiming he was improperly and unfairly terminated and given insufficient time to find a new team for the 2011 campaign. Red Bull had requested that North Carolina Superior Court judge Sharon Barrett dismiss the case based on evidence presented to date. But after roughly 30 minutes of argument from attorneys for both sides, Barrett ruled that allegations against the team are serious enough to have the case continue to the investigative phase. Speed can now proceed with his $6.5 million suit, with both sides beginning the process of deposing its respective witnesses. Documents filed as part of the suit reveal that a three-year contract signed by Speed in September of 2007 called for him to be paid a base salary of $300,000 for the 2008 NASCAR season, $500,000 for 2009 and $1 million in 2010. In addition, he was slated to receive 50-percent of the car’s prize money for each top-10 finish, 45-percent for each finish between 11th and 20th and 40-percent for all finishes of 21st or worse. In June of 2008, a extension to that contract was signed, calling for Speed to be paid $1.5 million in base salary for 2011, with additional $500,000-per annum raises in both 2012 and 2013. In January 2010, the deal was modified yet again, reducing Speed’s 2010 salary from $1 million to $500,000. The complaint alleges that in May of 2010, the team exercised an option on Speed’s contract binding him to them through the 2013 season, before terminating him from the ride just six months later. 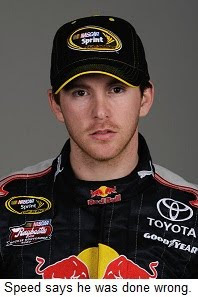 Speed managed just two Top-10 finishes last season, and became expendable when Kasey Kahne left Richard Petty Motorsports and agreed to spend 2011 driving for a Red Bull Toyota before taking over the #5 Chevrolet at Hendrick Motorsports next season. Speed complained bitterly about the timing of the deal, saying he was fired too late to find a new ride. “They kept me under contract all year, and then they signed Kasey Kahne,” he said. “It was a messed-up deal. They didn’t give me time for anything. Somehow, that was OK for them. It was a total, 100-percent shock on my behalf. “Finding money or teams to race for at this point is super difficult,” said Speed in December of last year, saying he was forbidden to talk to other teams while under contract with Red Bull. He argued the team could have offered him a 2011 Nationwide or Camping World Truck Series ride, but instead left him high and dry with no prospects to continue his NASCAR career. For its part, Red Bull claims it released Speed when he failed to meet a performance clause requiring him to finish in the top-15 in 2010 Sprint Cup Series points. The former Formula One driver finished 35th in points in 2009 and improved only five positions last year. He claims that his Toyota was insufficiently funded, and that Red Bull failed to supply him with the technological resources necessarily to compete. His attorney, Jeffrey Long, argued in court that Red Bull should have allowed his client to test more, and failed to provide him with equipment good enough to place him in the Top-15 in points. Carol in South Jersey sends along a photo of her feline companions Moody (L) and Reuti. 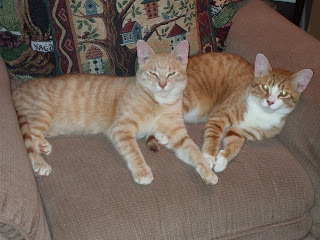 She says Moody is extremely loving and social, while Reuti bites. You can't make this stuff up. The NASCAR community will turn back the clock Saturday in Mooresville, N.C., joining together to remember good times, re-tell old war stories and help a colleague in need. Approximately 50 legends of the sport will convene as part of the Fifth Annual “Legends Helping Legends” event at Memory Lane Auto Museum on Highway 150 in Mooresville, where caretaker Alex Beam will throw open the doors on one of the country’s most impressive collections of vintage auto racing machinery and memorabilia. This year’s event honors 1983 NASCAR Sprint Cup Series champion Bobby Allison, who will unfortunately be unable to attend due to a commitment at this weekend’s Auto Club 400 in Fontana, California. Brother Donnie Allison will be there in his stead, along with NASCAR Hall Of Famer Ned Jarrett, Rex White, “Tiger” Tom Pistone, Travis Tiller, Jimmy Hensley, Jabe Thomas, Jim Vandiver, Neil “Soapy” Castles, Elliott Forbes-Robinson and “Little” Bud Moore. All will be available for autographs and photos, in addition to a world class session of bench racing. Former Dale Earnhardt crewman a current Sirius NASCAR Radio host Chocolate Myers is scheduled to appear, along with the #3 team’s longtime engine builder, Lou LaRosa. Wanda Lund – widow of the late, great Dewayne “Tiny” Lund -- and Frances Flock, widow of NASCAR pioneer Tim Flock are also expected to be in attendance. Admission to the event is just $10; a bargain-basement price to wander through Memory Lane’s incredible time capsule of NASCAR and automotive history. Combined with a rare opportunity to meet, mingle and converse with a lengthy list of racing royalty, and the gathering becomes a can’t-miss affair. Proceeds will benefit the Old Timers Race Club Medical Fund, which assists former racers and crewmembers who have fallen on hard times. This year’s recipient is Harold Elliott, championship engine-builder for Junior Johnson and Rusty Wallace (among others) who has recently been diagnosed with dementia and suffered a severe stroke. 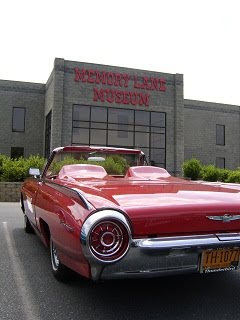 Hours are 10 AM to 5 PM ET at the Memory Lane Auto Museum on Highway 150 (769 River Highway), less than two miles west of I-77 Exit 36. Randy Moss Motorsports co-owner David Dollar has commented on the status of the team’s #25 Toyota Tundra and driver Tayler Malsam, though his explanation did little to solidify the team's status for the coming weeks. RMM was reported to be shutting down the #25 truck after failing to qualify for the first two races of the season, then blowing an engine in the third race at Darlington two weeks ago. Dollar said, “Due to various circumstances outside of our control, we are re-evaluating the status of the #25 Toyota Tundra. Tayler Malsam is a very talented young driver, and we are extremely appreciative of everything he, One Eighty, and Iron Horse Jeans have done for us. We have an entry filed for the April 2nd race at Martinsville Speedway and are currently evaluating our options for that event." Sirius NASCAR Radio’s Sirius Speedway with Dave Moody has learned that NASCAR Sprint Cup Series teams have been notified that they will be using a 7/8 inch diameter restrictor plate in next month’s event at Talladega. That represents a 1/64 reduction from what was used in the season-opening Daytona 500. Cooling system regulations will remain the same as at Daytona, with maximum air inlets mandated at three inches high by 20 inches wide. Sirius NASCAR Radio's Sirius Speedway with Dave Moody has learned that TRG Motorsports will make a manufacturer change, converting its NASCAR Sprint Cup Series team from Chevrolet to Ford power. Team owner Kevin Buckler confirmed that a deal has been in the works for more than a month to acquire new cars from Roush-Fenway Racing and engines from Roush Yates Racing Engines, beginning at Texas Motor Speedway April 9. "When we first came to the NASCAR Sprint Cup Series, we were faced with the daunting task of competing at the highest level of NASCAR, and doing it on a budget," explained Buckler in an exclusive Sirius Speedway interview. "At first, our goal was to survive and qualify for races. In time, we were able to raise our sights and shoot for a spot in the Top 35. But ultimately, we're here because we want to win. "I don't want to spend my time racing against the bottom 15 teams every week," he said. "We've been winners in every form of racing we have ever tackled, and I want to be a winner in NASCAR. To do that, we need new, state-of-the-art cars and engines; equipment as good as anyone else out there has." Buckler said TRG will campaign new cars as part of a "light technological support program" with Roush Fenway Racing and new Ford FR9 powerplants from Roush Yates Engines. "My partners and I are going to have to shoulder a heavier financial load to do this, and we could not have done this without the support of our sponsor, Super Eco Fuel Saver. But it's time for us to take a big step up and see if we can compete at this level. "If we fail, it will be because we haven't done things correctly, not because we don't have the tools to succeed." Rookie Andy Lally has run the first four races of the season for TRG, and currently ranks 35th in championship points with a best finish of 31st at Phoenix International Raceway. He will be replaced by Hermie Sadler on a one-race basis at Martinsville next weekend, with Lally returning to the cockpit the following week at Texas. Sadler, a native of Emporia, Va., drove for TRG in the fall race at Martinsville last year, finishing 26th. In a related story, TRG has tabbed Paul Chapprood to serve as the team’s interim crew chief this weekend in California. Chapprood replaces Jay Guy, who left the team to accept a position as crewchief on Travis Kvapil's #38 Long John Silver’s Ford at Front Row Motorsports. The battle between Jennifer Jo Cobb and her former car owner, 2nd Chance Motorsports owner Rick Russell, escalated to a new level today, with news that Russell has filed a police report alleging that Cobb and her crewchief, Steve Kuykendall, stole $16,000 in race parts from his Mooresville, N.C. facility. Cobb said the storage unit belongs to Russell, saying they had his permission to move the parts there in an attempt to clear space in his race shop. She denied being involved in any theft, claiming she told Russell Sunday to take all the parts that belonged to him. 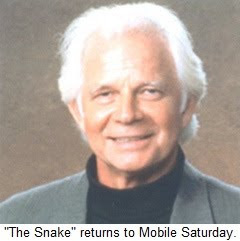 Football icon Ken “Snake” Stabler will serve as Grand Marshall for the 2011 season opener at Rick Crawford's new Mobile International Speedway Saturday night. The former University of Alabama and Oakland Raider standout will drop the green flag for the Miller Lite 100 as Crawford makes his promotional debut at his home track. "Ken is a long time racing supporter, and at one time I drove a Late Model for the Snake," said Crawford. "We’ve remained friends over the years, and I’m excited that he’s going to be at the Speedway for my first race,"
After playing his college ball for legendary Crimson Tide coach Paul "Bear" Bryant, Stabler enjoyed a lengthy and successful career in the National Football League, becoming the league's Most Valuable Player in 1974 and leading the Raiders to a win in Super Bowl XI. Since retiring from football, Stabler’s Legend Cellars has partnered with Anderson Estate Wines of Santiago Chile to produce the “12” Championship Collection. “You can feel the positive energy Rick is bringing to the track," said Stabler. "It’s good for the Speedway, it’s good for racing and it’s a huge plus for South Alabama." In addition to Stabler's appearance as Grand Marshall, Crawford has announced that “The Godfather of Motorsports,” Dave Moody, will man the public address microphone for Saturday night's event. A multi-time National Motorsports Press Association and Associated Press Award winner in both radio and print, Moody began his racing career as a short-track public address announcer in his native Vermont in 1979, under the guidance of his mentor, CBS-TV motorsports pioneer Ken Squier. Since then, he has announced at nearly 100 speedways throughout the United States, Canada and Mexico. He serves as the lead turn announcer and pre-race host for MRN Radio’s coverage of NASCAR Sprint Cup, Nationwide and Camping World Truck Series racing. In addition to his raceday duties, “The Godfather” hosts Sirius Speedway on Sirius/XM Radio Channel 128, weekday afternoons from 3-7 PM ET. “I have listened to Crawford talk about Mobile International Speedway for years," said Moody. "When our schedules lined up so I could come to Mobile and share the announcing duties on his first night as a promoter, it was an opportunity I couldn’t pass up." Moody will join longtime trackside announcer Derek ”Kane” Long on Saturday nights broadcast team,caliing the action for the Miller Lite Super Late Model Series, the Island Motors II Bombers, Bob's Speed Shop Sportsmen and Alabama Pipe and Supply Modifieds. Admission is $15 for adults, $14 for military, seniors and policemen, $5 for children 6-11 and ages 5-and-under are free when accompanied by an adult. Pit passes are $25, and everyone under 19 must have a signed parental consent form. The pit gate opens at 1:00, grandstands at 5:00, with post time set for 8:00 PM. Landon Cassill will move from the #60 Germain Racing Sprint Cup entry to James Finch’s #09 Phoenix Racing Chevrolet, beginning this weekend at Auto Club Speedway. Cassill replaces former Sprint Cup Series champion Bill Elliott, who ran the first four races of the season. Phoenix Racing originally planned to run Elliott in up to 18 races this year, but have struggled to an average finish of 23.5, with a best showing of 12th in the season opener at Daytona. Cassill will make his debut with Phoenix Racing this weekend at Auto Club Speedway, with sponsorship from Rydex/Security Benefit. Coming soon to an I-40 corridor near you! 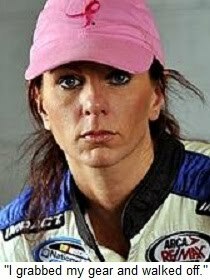 Jennifer Jo Cobb quit her ride with the Second Chance Race Parts NASCAR Nationwide Series team just minutes before the green flag in Saturday’s Scott’s EZ Seed 300 at Bristol Motor Speedway. What happened to prompt that move depends on who you believe. Cobb says she walked away when Second Chance team owner Rick Russell reneged on their agreement, ordering her to start and park the team’s #79 Ford just minutes before the race began. She said she had discussed the situation with Russell earlier in the week and was never told of Russell’s desire to park the car after only a few laps. Cobb said Russell threatened to have NASCAR black-flag her from the event if she refused to comply, and revealed plans to replace her in the car this weekend in Fontana. “I got a phone call on Wednesday from someone saying (the car owner had told them) I was going to be replaced for California,” said Cobb. “I said, `Surely not,’ since we have a five-race agreement that runs through California. Then I got another phone call with news that the car owner was saying we were start-and-parking in California. Russell disputed Cobb’s version of events, telling reporter Dustin Long, “Five minutes before the race, she took her crew and left.” He said he informed the team in a Friday morning crew meeting that his plan was to start and park, adding, “I explained to everyone what our purpose was this weekend. We destroyed a car in Las Vegas (due to) Kyle Busch's accident. We only had one car, so we had to have the body completely replaced except for the roof, deck lid and rear bumper. 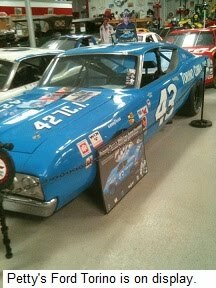 “Without a sponsor, the $16,000 bill to put this car together just about broke me,” said Russell. “We already had our entry in for California… so I let everybody know we were here in a conservative mode. We would practice smart, we would qualify, we would make a few laps and then we would park the car and save it for California.” Russell said he was so determined to start and park that he left his over-the-wall pit crew at home. Cobb says her former car owner never used the words “start and park” in that Friday meeting, adding that she and crew chief Steve Kuykendall both believed Russell wanted them to race smart, stay out of trouble and take no chances on the race track. “There was not one person in that meeting -- aside from Rick Russell -- that took from the conversation that we were starting and parking,” said Cobb. “He said, `We have to race conservatively… hold this car together, get out of any packs and race without (putting) a scratch on the car.’ I gave him my commitment that I would do that. I promised to practice conservatively, qualify conservatively and I upheld my end of the bargain to maintain the one car that he owns. She said she initially agreed to honor Russell’s wishes, if he guaranteed that she would remain in the #79 Ford next weekend in California. “I told him, `If you can look me in the eye and tell me I’m racing in California, I’ll do this for you,’” she said. “He said, `You’re not racing in California.’ I thought about it for a few seconds, then grabbed my gear and walked off. 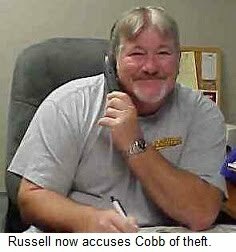 In a subsequent Twitter posting, Kuykendall accused Russell of threatening him and Cobb. "Car owner Rick Russel (sic) threatened myself and anyone associated with Jennifer with a jack handle in the pits," he wrote. "Rick Russell is making lots of untrue accusations about Jennifer and I. The only thing we are guilty of is wanting to race!" Cobb and the Second Chance Motorsports team failed to qualify for the season-opening Drive For COPD 300 at Daytona, before finishing 32nd at Phoenix International Raceway and 31st in Las Vegas; both due to crashes. Russell tabbed Chris Lawson as a last-minute Bristol replacement, joining the race well after the green flag and completing just four laps before heading for the garage. 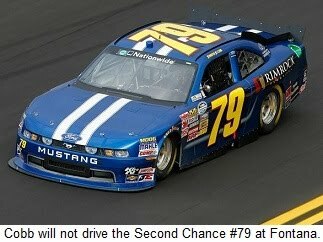 Tim Andrews is expected to drive the #79 Ford at Auto Club Speedway this weekend. NASCAR and Goodyear announced within the last hour that there will be a tire change this weekend at Bristol Motor Speedway. Issues have surfaced during practice today, with teams in both the Nationwide and Sprint Cup Series experiencing extreme right-side tire wear, with some wearing their tires to the cords in less than a full fuel run. Sources tell Sirius Speedway that the situation is similar to what happened at Indianapolis Motor Speedway a few years ago, where tires turned to dust rather than laying down rubber on the racetrack. Those issues will force Goodyear to truck in approximately 1300 tires from a warehouse in Charlotte, NC, today for teams to use beginning tomorrow. The Nationwide Series will qualify on the tires they are using today, then race on the new 4408 tire tomorrow with a NASCAR-mandated competition caution at approximately lap 25, allowing them to check tire wear. The Sprint Cup cars will run on new 4386 tires built for upcoming races at California and Michigan. Sprint Cup qualifying will roll off as scheduled at 3:30 PM ET today, on the “old” rubber. Sirius NASCAR Radio's Sirius Speedway with Dave Moody has learned that ThorSport Racing has signed 2010 ARCA Series Rookie of the Year Dakoda Armstrong to pilot a third Chevrolet Silverado in the NASCAR Camping World Truck Series. ThorSport, the longest-tenured active NCWTS team, will campaign a new, #98 Chevy in a select number of races this season with 19-year old Armstrong at the controls, in hope of capturing the Sunoco Rookie of the Year award. 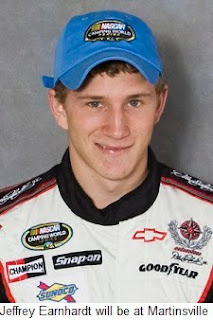 ThorSport claimed rookie honors with Willie Allen in 2007 and Johnny Sauter in 2009. A full season is planned with Armstrong in 2012. 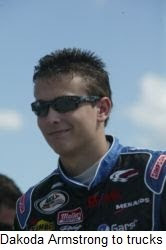 Armstrong claimed two wins in the 2010 ARCA Racing Series en route to that circuit’s Rookie of the Year title. He also claimed the checkered flag in one of the circuit’s biggest events at Talladega Superspeedway. He will team with veteran drivers Matt Crafton and Johnny Sauter, both of whom are off to strong starts to the 2011 campaign. Armstrong Farms – the Armstrong family business for more than four generations, will provide sponsorship. It is one of the largest corn producers in the Midwest for ethanol production, providing 700,000 bushels each year to Cardinal Ethanol and Anderson Ethanol; the equivalent of approximately 1.9 million gallons of ethanol. Armstrong made his racing debut in 1998 driving midget cars, accumulating armfuls of trophies that include the 1998 WKA National Championship, 2000 & 2001 Nascart Championships; 2004 Kenyon Midget Championship and the 2007 PRI Mopar Midget Championship; He racked up three USAC Midget Championship wins in 2008, and was a top competitor in the former Hooters Pro Cup Series in its final season. He joined Penske Racing as a developmental driver in 2009, making his debut in the ARCA Racing Series with wins at both Talladega and Kentucky Speedway. Armstrong is tentatively set to make his Truck Series debut at Iowa Speedway in July. More details will be announced at a later date. 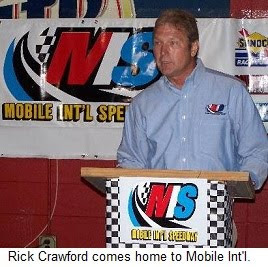 NASCAR Camping World Truck Series veteran Rick Crawford has entered into a multi-year agreement to manage and promote Mobile International Speedway in Mobile, Alabama. Crawford’s career began at MIS, driving for car owners Lee and Ida Fields, and has now come full circle with his return to the Speedway. Known as the fastest half mile in Alabama, Mobile International Speedway will host racing every other Saturday night in 2011, featuring six different classes of competition: Island Motors II Bombers, Bob’s Speed Shop Sportsman, Praytor Realty Super Stocks, Alabama Pipe and Supply Modifieds, Midwest Cooling Towers Pro-Late Models and Miller Lite Super Late Models. The Winged Sprint cars will make a special appearance on July 9th. Crawford’s new management team is already in place, and is preparing for the speedway’s annual Swap Meet this Saturday, with the Miller Lite Super Late Model series season opener scheduled for March 26. The track will run under the Rick Crawford Performance, L.L.C. banner, with operations based out of Concord, North Carolina. Rick Crawford Performance provides promotion, entertainment and racing performance consulting services, ranging from local racing to the upper levels of NASCAR. Currently, RCP field an ARCA team, two NASCAR Camping World Truck Series teams and a NASCAR Sprint Cup Series operation from its North Carolina Facility. For more information, including a 2011 season schedule, visit www.mobilespeedway.net. 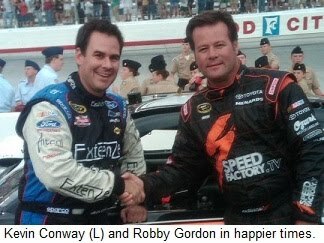 Just a few months ago, Robby Gordon and Kevin Conway were teammates, working together to help Conway win the 2010 NASCAR sprint Cup Series Rookie of the Year title. Today, that relationship is – quite literally – battered and bruised beyond repair, in the aftermath of a physical confrontation in the Las Vegas Motor Speedway garage last Friday that prompted Conway to file a police report alleging battery and left Gordon on NASCAR probation for the remainder of the year. Exactly what happened depends on who’s doing the talking. Conway called the incident “a physical attack,” telling police he was punched at least twice by Gordon. Gordon classified it as a “heated verbal exchange” and has denied throwing any punches. NASCAR Vice President of Competition Robin Pemberton termed it a "heated discussion," and the few witnesses to the incident say there was a preponderance of grabbing, wrestling, rolling on the ground and foul language, with accounts differing as to whether any actual punches were thrown. Gordon soon issued a statement of his own, saying the incident stemmed from an ongoing dispute over sponsorship money he claims he is owed by ExtenZe and its parent company, Biotab Neutraceuticals. Gordon has sued Biotab for $690,000 he claims he is owed for six races Conway drove in his cars at the end of last season. Biotab claims Gordon violated their contract by replacing Conway in the car for one race in an effort to maintain the team’s Top 35 status; a move Gordon says the company approved. Conway subsequently sued Gordon for $27,000; part of his 2010 Rookie of the Year earnings. “Unfortunately, this is not the first time that Conway and his sponsor have failed to honor their financial obligations to NASCAR teams,” said Gordon yesterday, alluding to a 2010 lawsuit filed by Front Row Motorsports accusing Biotab of failing to pay its sponsorship tab. He called the Las Vegas confrontation, “the kind of thing that is normally handled between the involved parties” rather than involving the police, adding, “It is unfortunate that Conway has chosen to use this insignificant event as a means of attracting publicity to himself. Conway would better serve the interests of our sport and the fans by making sure that he meets his personal financial obligations to our teams before engaging in publicity seeking behavior of this type. "It's simple," said Gordon of the dispute. "I'll pay (Conway) his money when he pays me my money." A spokesperson for the Las Vegas Police Department confirmed that Conway filed a misdemeanor battery complaint against Gordon, saying that no arrests were made because officers did not witness the skirmish. No summons’ were issued, but the department did interview witnesses in anticipation of turning the case over to the Clark County District Attorney’s office for possible prosecution. Sirius NASCAR Radio’s Sirius Speedway with Dave Moody has learned that crewchief Dave Fuge, Sr., is out as crewchief of Mike Bliss’ #19 NASCAR Nationwide Series entry at Tri-Star Motorsports. 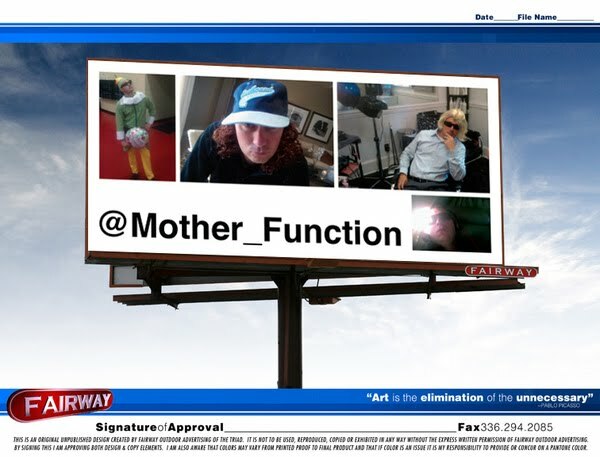 Speaking on the condition of anonymity, sources close to the team say the veteran crewchief parted company with the team today, despite ranking ninth in Nationwide Series championship points after three events. Bliss was 17th – three laps down – Saturday at Las Vegas Motor Speedway, after finishing 13th in the season opener at Daytona and 20th two weeks ago in Phoenix. A spokesperson for Tri-Star Motorsports confirmed that Fuge is no longer with the team, but declined to discuss reasons for the move. No decision has been made on a possible replacement. 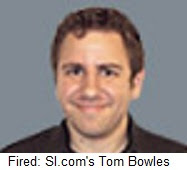 SI.com's Tom Bowles became an unwitting posterboy for the changing face of the NASCAR media this week, after being terminated from his reporter's job for cheering in the press box following Trevor Bayne's recent win in the Daytona 500. Bowles offered his take on the controversy on his Frontstretch.com website, writing, "Before I could control it, my hands were coming together... caught up with fans and media alike in a moment we could all appreciate – but one fans and media are told never, ever to experience together. "That day marked my first and last claps working as a NASCAR reporter for SI.com." Bowles' termination marks the most notable clash yet between the "old guard" of traditional, print-media focused NASCAR journalists and a new wave of writers spawned by an explosion of internet racing websites. A decade ago, the number of NASCAR reporters writing for anything other than paper-and-ink publications could be counted easily on the fingers of both hands. Today, the internet set far outnumbers traditional print reporters, as both newspapers and magazines slash payrolls -- or even close their doors altogether -- in the face of difficult economic times. These days, unemployed former NASCAR print reporters are as common in the Charlotte, NC, area as unemployed former NASCAR crewmembers. Those who remain spend much of their time looking over their shoulder, anticipating the next round of layoffs. In some cases, that insecurity manifests itself in resentment toward the internet scribes. Honestly, some of what passes for internet journalism is easy to look down upon. The online NASCAR media is an eclectic group that varies wildly in training, experience and (quite honestly) talent. There are many formally trained, extremely talented writers pounding keyboards for internet websites these days; breaking news, covering the sport and turning out insightful, timely commentary. There is also an overabundance of hacks who think a laptop and an attitude are all its takes to be a NASCAR journalist. Their blogs overflow with inaccuracy, typograhical error, caveman grammar and misspelling, and do little to endear their ilk to the more established Media Center veterans. That makes for an uneasy truce between traditional media types -- many of whom now appear as frequently on Twitter as in their employers' papers -- and the sport's new breed of internet journalists. The new breed is often not as versed in the unwritten rules of the NASCAR garage as their more-established colleagues would like them to be. They think nothing of crashing a one-on-one interview between driver and fellow reporter to ask a question that is totally off-topic. In the interest of obtaining a coveted scoop, they sometimes neglect to confirm the accuracy of their stories. And sometimes, they violate the sanctity of the working Press Box by openly cheering for a race winner. Bowles argues convincingly that no reporters were fired for shedding a tear on the day Dale Earnhardt lost his life at Daytona. He contends that we all have bias in our minds and hearts, and that the only thing that truly matters is what ultimately appears on the printed page, or on the computer monitor. Did SI.com use Tom Bowles to send a message about the value of proper media etiquette? Perhaps. Did they overreact by terminating a writer for a momentary lapse in judgement that was more than balanced by a lengthy resume of insightful and unbiased reportage on the sport? Maybe. But Bowles' firing -- and the fervent debate about its appropriateness -- highlights the ongoing process of assimilation between traditional newspaper and magazine writers and the new, instant-gratification media that resides on the worldwide web.